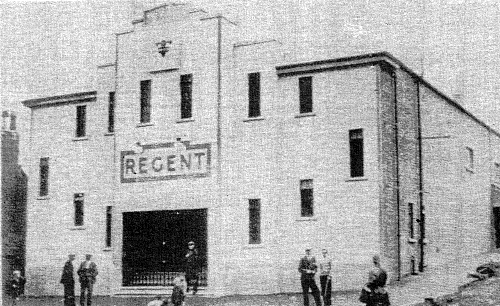 Seated 550; proscenium 28 ft. Now demolished. Photo c.1920 courtesy of Maxine Adams. Bannockburn also had film shows at its Miner's Welfare Hall, and at its Town Hall.